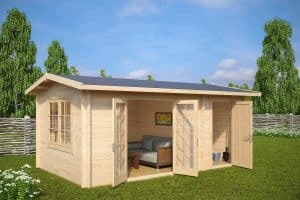 We are happy to introduce you to the latest additions to our range of garden log cabins. 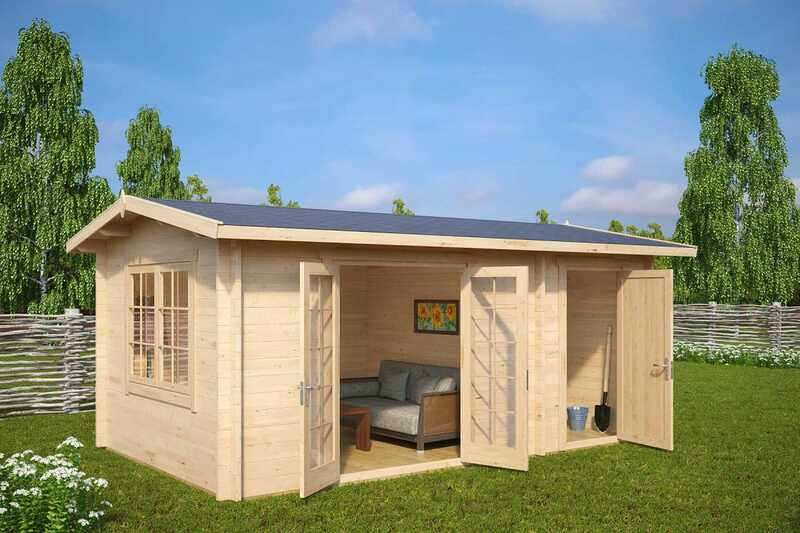 The “Super Fred” and the “Super-Otto” are both upgraded versions of our popular 28mm 2-room garden houses. 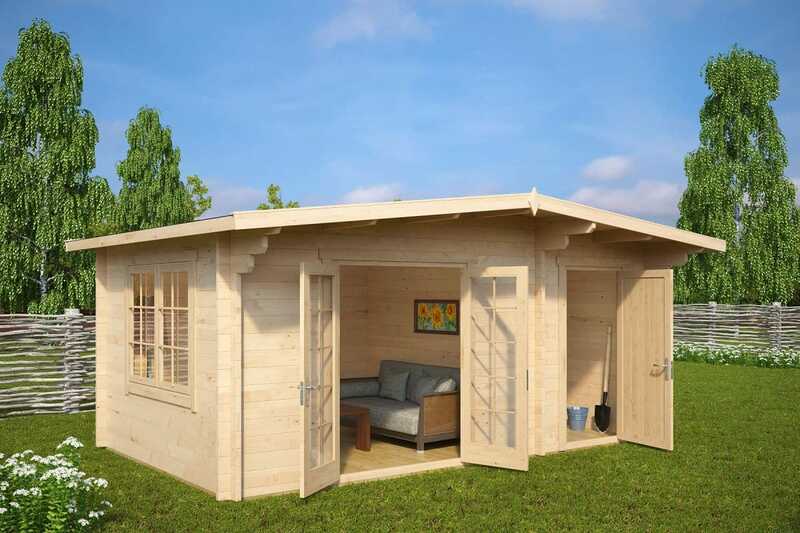 These new cabins are 1m wider, come with sturdy 44mm wall thickness and double glazing in windows and doors. 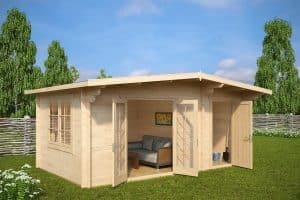 Both cabins can easily be installed within 2 days. A large window in the side wall and half glazed double doors open up a view to two sides of your garden. Do you deliver to, and install in, the Channel Islands?